Home » Robots in Disguise 201x » Transformers: Robots In Disguise – Season 3: Combiner Force To Contain 26 Episodes? 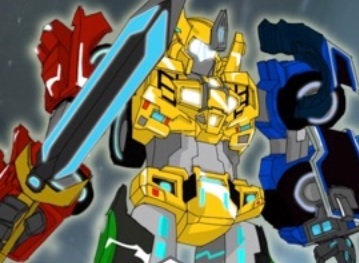 Transformers: Robots In Disguise – Season 3: Combiner Force To Contain 26 Episodes? Thanks to Hasbro Studios‘ official Sales Guide, we have what looks as though the episode count for the 3rd Season of Robots In Disguise. Since 45 Episodes have already aired, the remaining 26 will add up to 71. Transformers: Robots In Disguise – Season 3: Combiner Force is now on offer. 1)He will not take fan questions anymore. 2)Shout Factory is in charge of the DVDs,he has no idea. Drat!!! Well here is ShoutFactory's contact page. Ok, why are they scared of releasing season 2-3? Fan revolution or something? Come on, I am really wanting to see the second season here folks! Yeah! When is season 2 going on DVD? (In America?) I keep emailing ShoutFactory!…..no response.